Posted byAtulHost	 1st Feb, 2019 1st Feb, 2019 Leave a comment on How to Keep Your Business Information Secure Online? With today’s advancements in technology, it has become more critical for business owners and startups to safeguard their information. This is even a priority for those companies that run their business operations online. That said, businesses should strive hard to protect their all sensitive information against those people with bad intentions since it’s easy for hackers to steal data and cause significant damage to your systems without knowing you anything. With all the online data breaches that happen in the business industry these days, here are some ways on how to keep your business information secure online. Due to technological upgrades, employees can easily fall for scams, which is why it’s imperative to educate them about any potential threat that might attack in the future. Conduct security training about all types of online threats on a regular basis. By doing it, you’re helping your workers prevent the happening of a scam now and in the future. Provide them with the proper security tools that will become their defense when an attack takes place. In the world of technology, the updates required by software manufacturers are intended to safeguard your business information from the system’s vulnerabilities. Unfortunately, hackers are aware what these vulnerabilities are, that’s why they’ll run after a computer system that hasn’t been updated. After all, the average business requires more than 6 months to detect a data breach. When it happens, your entire company operations and security systems will be compromised. If you don’t want to deal with security issues, later on, set your business computers for automatic updates. Meaning, you don’t have to read all the update notifications one by one before the process of updating begins. Moreover, make sure all your computers are backed up with trusted antivirus software which updates more often to give your business an additional layer of protection. This is one of the most effective ways to secure your business information. Even if your username and password is hacked, the two-factor password authentication will make it difficult for any hacker to use them without having access to the user’s device, email, or biometrics. To make sure the person accessing the system is the person authorized to use it, having 2-factor password authentication can be the best way to prevent security and data breaches online. As a business owner, you can’t just leave all your company data unprotected. You need to have a secure backup solution to give you and your business peace of mind. However, if you don’t secure and backup all your data, it’s an indication that you can’t control your own data. Additionally, get your backed up files encrypted in a cloud to make sure you can restore them to their previous positions in case a breach will take place. Every time your company sets up a new computer system, you should always find time to change the default passwords for your hardware and software. That’s because default logins are easy to find since several computer manufacturers also utilize most of this information. If you leave the equipment as well as the software with unchanged passwords, there’s a higher chance that the hackers can have access to your business information. If your business requires your clients to disclose their financial information online, it’s essential to use data encryption for protection. This is especially true if your customers use their credit cards to do business with you. If you have encryption software in place, your online business operation will be more likely safe and secure. 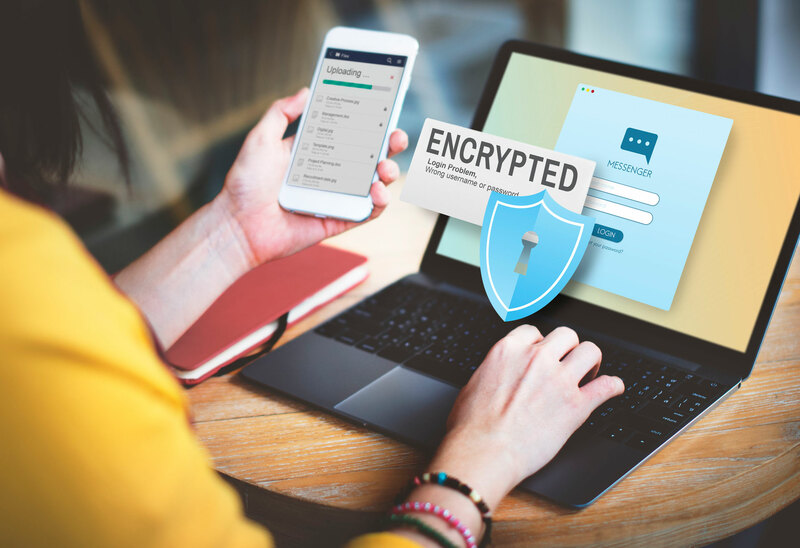 In addition to your customers’ financial data, encryption is also necessary for guarding your business’ internal information, financial accounts, and employee files. Having this security software, the hacker who has invaded the company’s computer system can’t still access what they want. It’s an effective way of improving your company’s cybersecurity in all circumstances. There’s special security software that can help identify unusual activities in your computer systems or those that make sure that any valuable information isn’t seeping. If your employees need to have remote access on individual computer systems, it’s best to ask for more than just their username and password. For instance, you can set up a second password that changes on a regular basis. That way, it’s impossible for hackers to hack any data from your system. Within a company organization, the security isn’t just the concern of your IT professionals and computer engineers. It’s one of the topmost priorities of every entrepreneur and the rest of the people in the company. By following these security measures, you’ll not only defend your online business operations from unwanted intruders, but they’ll also reduce the damage caused by breach or theft.